Set up your iOS device with a Mac so you can capture any screen on iOS without needing to code. While this setup is a bit more clumsy because it requires a Mac being connected to the iOS device, it allows you to record all screens on an iOS device, rather than being restricted to recording just screens within an online web browser (with Lookback Participate for iOS) or just screens within your app (with Lookback's iOS SDK). The following steps explain how you can mirror the iOS device's screen on a Mac. This way, when you record the Mac's screen, you will record the iOS device too. Testing a prototype? Read this article to get set up. Please note – the Mac and iOS device both need to be in the same location because they will need to be connected using the Lightning cable. Plug the iOS device (i.e. iPhone) into the Mac using the Lightning cable. 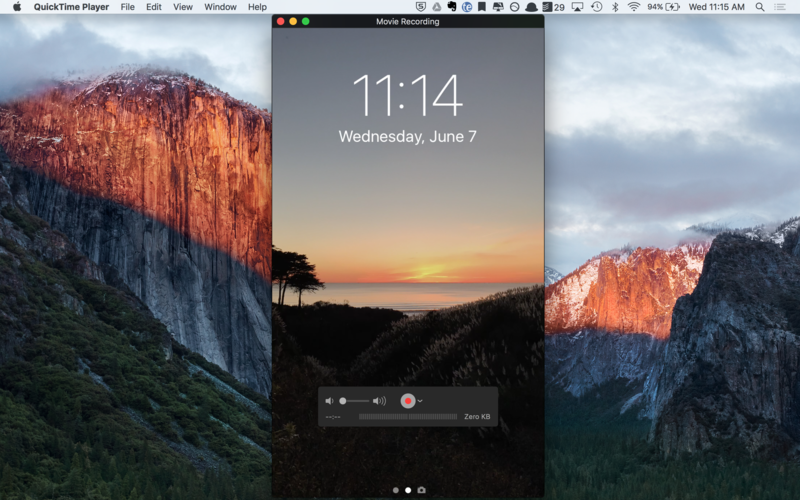 Open up QuickTime on your Mac. Click File and then select New Movie Recording (Do not click “New Screen Recording”). You will automatically see the home screen of your mobile (iOS) device appear on your desktop. Tip: If your iOS device isn’t listed, you likely need to unlock your iOS device and make sure to select “Trust this Computer”. Depending on your previously established setup in QuickTime, you will automatically see either yourself in the QuickTime camera or alternatively the screen of your mobile device. You only need to see the screen of your mobile device. In order to do so, click the downwards arrow next to the record button and select your iOS device. It is important to know: You are not using QuickTime to record the iOS screen. This setup is simply so you can record the Mac’s screen, which has the iOS screen open in a window. The terminology used in QuickTime can be confusing as it refers to the term "Camera" but it is in fact your device screen. You are all set to start your research ! PS. We previously had a Mac app that could record iOS devices over USB directly. This app is no longer available, and we recommend using the above workflow instead, as it is more reliable.